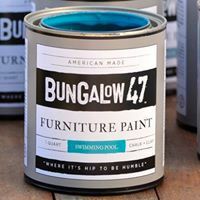 Our paint is American-made, zero VOC, solvent free, and easy to use. It is perfect for painting your home decor and will adhere to almost any surface including wood, metal, glass, ceramic, stone, and more. The paint is available in 47 designer colors. The following accessories are available for this item.